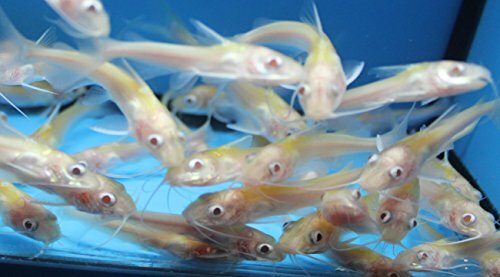 You will receive 5 albino channel catfish. These catfish are 2-3 inches in length. They will grow to about 24 inches as adults. They are great for aquaponics systems and outdoor ponds. They also do great in aquariums.